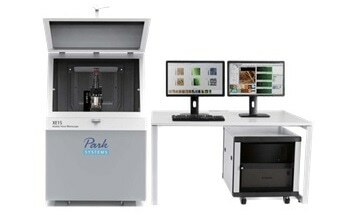 Park Systems has launched the innovative Park 3DM Series, the fully automated AFM system built for high-resolution sidewall imaging, overhang profiles and critical angle measurements. With the patented decoupled XY and Z scanning system with tilted Z-scanner, it overcomes the challenges of the normal and flare tip methods in accurate sidewall analysis. 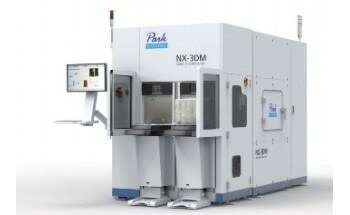 In utilizing Park Systems True Non-Contact Mode™, the Park 3DM Series enables non-destructive measurement of soft photoresist surfaces with high aspect ratio tips. 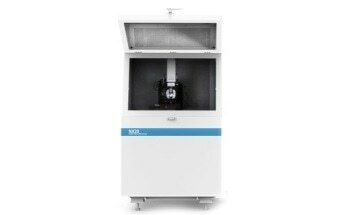 The NX-3DM allows unique access to the overhang and undercut structures of photoresist and other industrial materials, guaranteeing users receive accurate topographical data across the entire sample. 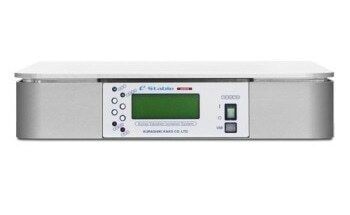 The True Non-Contact Mode enables instrument and subject-preserving CD measurement without compromising image fidelity. The NX-3DM’s novel head tilting design allows access to the sidewalls using an ultra sharp tip to achieve high resolution, clear details of the area and its roughness. The innovative head tilting design permits access to the sidewalls using ultra sharp tip to acquire high resolution and (more defined) details of the side wall roughness. 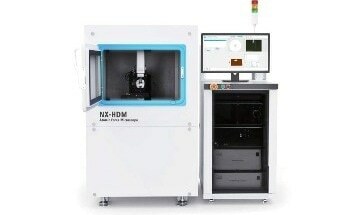 The numerous unique features of the NX-3DM are made possible by autonomously tilting the Z-scanner in its patented Crosstalk Eliminated platform, where XY and Z scanners are fully decoupled. This design allows users to access the vertical sidewalls as well as theundercut structures at a range of angles. In contrast with systems with flared tips, here high aspect ratio and high resolution probes can be used. 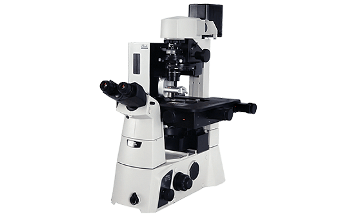 The 100 µm x 100 µm XY scanner comprises of a symmetrical 2D flexure stage and high-force piezoelectric stacks that offer highly orthogonal movement with minimum out-of-plane motion, as well as the high responsiveness necessary for precise sample scanning at the nanometer scale. Two symmetric, low-noise sensors are present on each axis of the XY scanner to retain a high level of orthogonality in the context of large scanning ranges and sample sizes. The secondary sensor corrects and compensates for non-planar and non-linear positional errors which might happen using a single sensor alone. 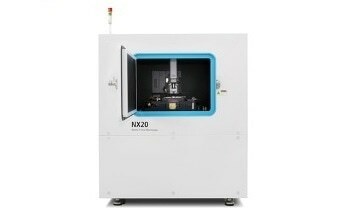 The NX-3DM is provided with automated software that makes operation seamless. Just choose the preferred measurement program to obtain precise multi-site analysis and auto-optimized settings for scan rate, cantilever tuning, gain and set-point parameters. 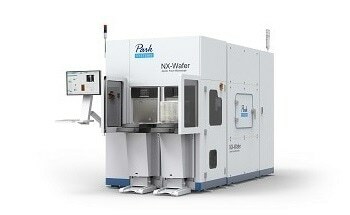 Park's user-friendly software interface offers users the flexibility to produce customized operation routines so that they can make the most of the NX-3DM with the slightest amount of effort. Creating new routines is simple. On average it takes only 10 minutes to create a new routine and less than five to alter an existing one. 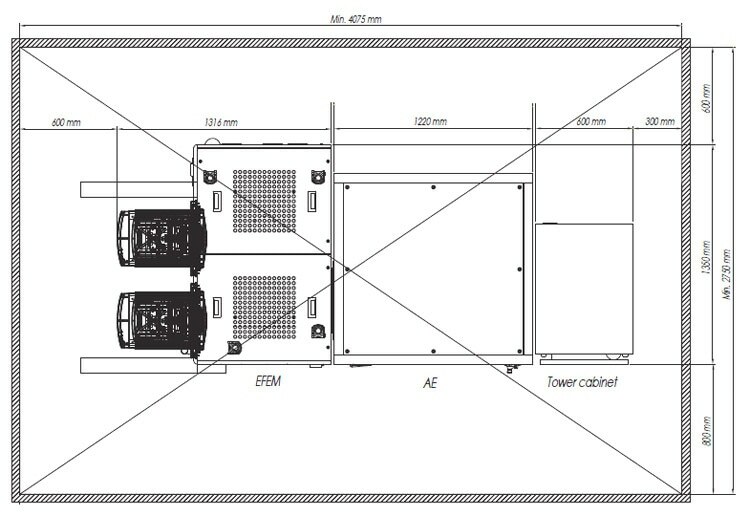 Park Systems’ AFMs are provided with highly effective low noise Z detectors in the field, with a noise of 0.2 Å over large bandwidth. 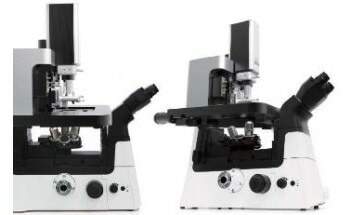 This creates highly accurate sample topography, no need for calibration and no edge overshoot. 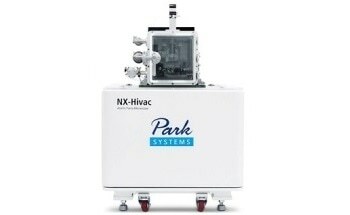 Just one of the numerous ways the Park NX-3DM saves time and offers better data. 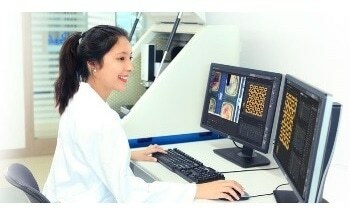 As a result of the ever-decreasing size of components, manufacturers now require the maximum level of quality control. 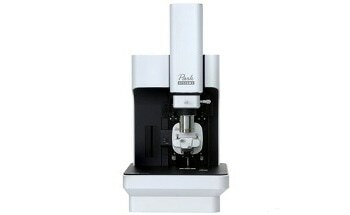 Park AFM can offer 1 gauge sigma of less than 1 Å. 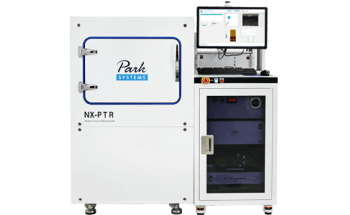 Due to Park's innovative AFM platform designed for industrial metrology, Park NX-3DM will correlate with any current Park AFMs that have been formerly used for inspection, manufacturing, analysis or research. The ATX automatically locates tips by pattern recognition and uses a novel magnetic method to disengage a used tip and pick up a new tip, with an amazing 99.9% success rate. 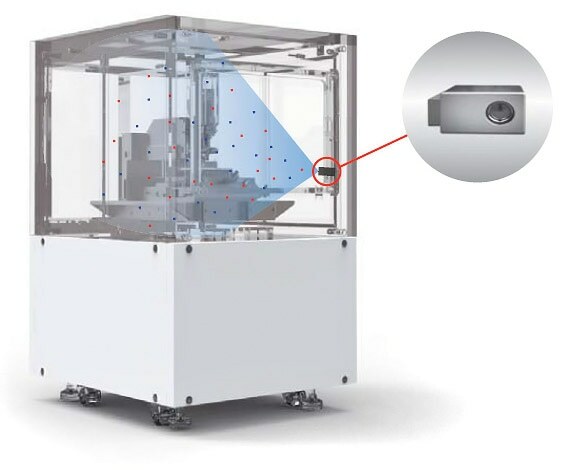 The laser spot is then automatically optimized along the X- and Y-axis by motorized positioning knobs. 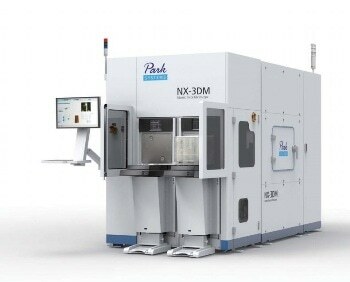 The NX-3DM can be configured for a range of automatic wafer handlers, such as FOUP and EFEM. 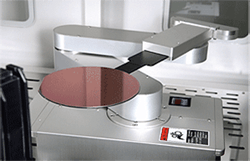 The high-precision, robotic handling arm guarantees users get rapid and reliable wafer measurements every time. 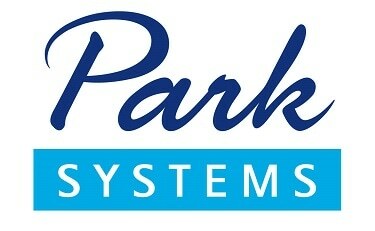 Park Systems’ innovative ionization system rapidly and effectively eliminates electrostatic charges in the sample’s environment. Since the system always produces and maintains the suitable balance of positive and negative ions, it can develop a very stably charged environment with negligible contamination from the surrounding area and reduce the risk of accidental electrostatic charge during sample handling.